Professional Profile - Champagne Law Group, P.A. Mr. Richard Champagne focuses his practice on civil, criminal, and immigration laws. He has substantial experience in managing complex criminal and civil matters, including those that may pose political and public relations risks. Mr. Champagne is licensed in both Florida and Massachussetts, and is admitted in various federal courts. Mr. Champagne is a highly-skilled litigator with broad experience in the areas of criminal and civil litigation, family law, personal injury, and immigration laws. Mr. Champagne was an Assistant Public Defender with the Broward County Public Defender’s Office, widely regarded as the premier public defender office in the country, where he served in various divisions and represented over five hundred clients charged with various serious criminal law violations. Mr. Champagne was an associate attorney at a law firm that specializes in immigration, family, civil and personal injury. As a law student, Mr. Champagne volunteered at the Miami-Dade State Attorney’s Office, where he assisted with legal research in sexual abuse cases involving children, and completed a prestigious internship at the Florida Supreme Court. Mr. Champagne is very involved in local, state and national bar associations, and his community. 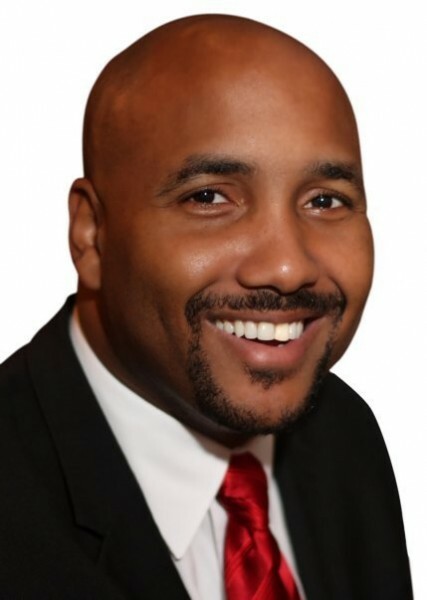 In addition to being a Florida Bar Fellow, he is a member of the the Florida Criminal Defense Lawyers Association, the Wilkie D. Ferguson Bar Association (formerly known as the Black Lawyers Association), the Cuban American Bar Association, the Hispanic National Bar Association, the Dade County Bar Association, the Florida Criminal Defense Lawyers Association, the Association of American Immigration Lawyers, the American Bar Association, and various local bars. Mr. Champagne is the immediate past-president of the Haitian Lawyers Association (HLA), the second largest voluntary bar association in the State of Florida, whose mission is to advocate for the legal and political rights of the Haitian community. Under his leadership, HLA partnered with Legal Services of Greater Miami to provide legal representation to homeowners facing foreclosures and collaborated with various municipalities and organizations to provide legal assistance to over eight hundred Haitian nationals with their TPS and citizenship applications. Also, Mr. Champagne serves on the boards of various non-profit organizations, including the Toussaint L'ouverture High School for Social Arts and Justice, a charter school in Delray Beach, Florida. More recently, he became chairman of the Haitian-American Professionals Coalition (HAPC), a core association of fifteen organizations, which addresses social, legal, educational and health-related issues affecting Haitians in the U.S. and abroad. Mr. Champagne is the host of a legal radio program in Creole broadcasted in Miami-Dade, Broward and Palm Beach counties, which enhances public awareness about the law and educates the public about the importance of having an attorney handle their legal affairs. Mr. Champagne earned his Juris Doctorate with honors from Saint Thomas University School of Law, where he graduated in the top 5% of his class. He completed a prestigious internship program at the Florida Supreme Court, which is offered to law students with an outstanding academic record and demonstrates exceptional research and writing skills. He has been admitted to the Florida and Massachussett Bars; the U.S. District Court, Southern District of Florida; the U.S. District Court, Middle District of Florida; the U.S. Court of Appeals for the Eleventh Circuit; the U.S. Tax Court; and the U.S. Bankruptcy Court.